An ethical accessories label in the United Kingdom wants to pilot a program that provides the region's homeless with sewing and other marketable skills. 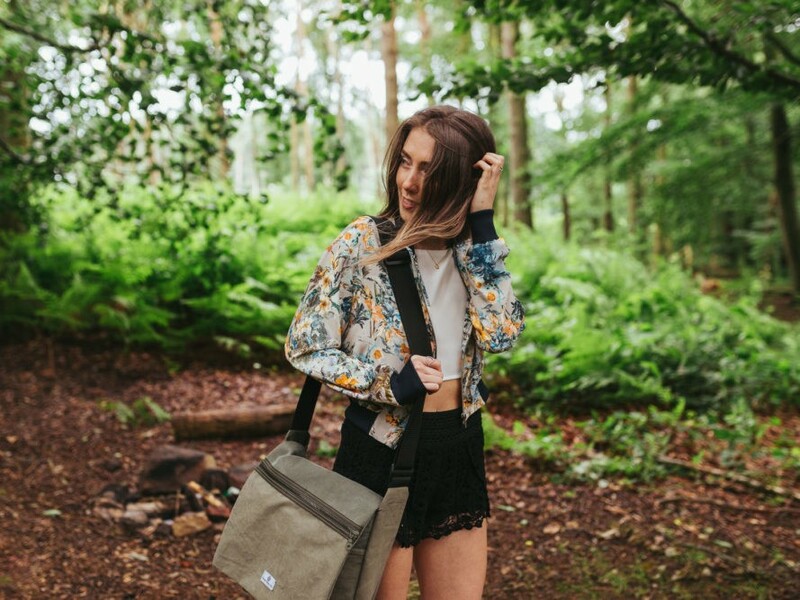 Making its pitch on Kickstarter, where it hopes to raise £12,000 (nearly $16,000) in seed capital, What Daisy Did is taking preorders for its "Wayfarer" collection, a line of vegan-friendly bags, wallets, and keychains derived from decommissioned military tents and reclaimed tarpaulin. More than 99 percent of the materials, including the 5 percent that wasn't recycled in some form, have been locally sourced, the firm said. "The creation of these bags has a very small carbon footprint," What Daisy Did wrote on its campaign page. "Where it has not been possible to source recycled components we have tried to buy locally and have even managed to source our zips from the last remaining zip factory in the U.K."
Designed for extra-durability, all of the carryalls have a three-year repair-or-replace guarantee, What Daisy Did said. The company has also teamed up with the Northampton Hope Centre, a charity whose motto is “tackling homelessness, rebuilding lives,” to create a scheme that hires and trains people in need at its Northampton-based workshop. A portion of the bags’ proceeds will go to the centre, as well. Discounted Kickstarter pricing for the collection starts at £21 ($28) for the “London” wallet and tops out at £90 ($112) for the “Budapest” backpack. Love everything you see? A pledge of £231 ($306) gets you the entire kit and caboodle, which, in addition to the aforementioned items above, includes the “Raleigh” messenger bag, the “Lincoln” laptop bag, the “Brooklyn” backpack, and the “Tallinn” duffle. The company has also teamed up with the Northampton Hope Centre, a charity whose motto is "tackling homelessness, rebuilding lives," to create a scheme that hires and trains people in need at its Northampton-based workshop. A portion of the bags' proceeds will go to the centre, as well. "As our business grows we will continue to work with the Hope Centre to find new employees," What Daisy Did said. "We believe this scheme will be a huge success and hope to set an example to other employers." Discounted Kickstarter pricing for the collection starts at £21 ($28) for the "London" wallet and tops out at £90 ($112) for the "Budapest" backpack. Love everything you see? A pledge of £231 ($306) gets you the entire kit and caboodle, which, in addition to the aforementioned items above, includes the "Raleigh" messenger bag, the "Lincoln" laptop bag, the "Brooklyn" backpack, and the "Tallinn" duffle.